The compact GEM G2S is a multifunctional imaging device that upgrades the GEM III cradle (sold separately) to a day/night Short Wave Infrared (SWIR) imager. The GEM G2S has the capability to be used in multiple configurations. These include a DSLR camera, spotting scope, handheld monocular, video camera, video scope, point-and-shoot camera, and RECCE camera. 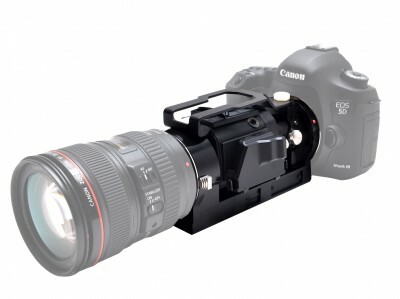 The optional covert SWIR laser illuminator mounts directly onto the hot shoe of a DSLR camera and enables ID-quality SWIR imagery even in complete darkness.